With more companies offering model portfolios, here's what advisors need to know. The model portfolio market is growing considerably. Vanguard, Schwab, Fidelity and other Wall Street giants have stepped into the model portfolio market, hoping to take a bigger slice of the $6 trillion managed account market. With intense competition among model portfolio providers, what’s in it for investment advisors when buying model portfolios from third-party providers? And, are advisors better off building model portfolios in house? Data shows that 81 percent of advisors use model portfolios at some level, as they look for help in managing client accounts in an environment where fees are sliding downward. Cerulli Associates expects the market to grow at a 14.5 percent annual rate over the next few years. By purchasing model portfolios from third-party providers, advisors will have more time to invest in client relationships and acquiring new clients. Gabriel Pincus, at GA Pincus agrees with that outlook. “Buying a third party model frees up time for the advisor to build a larger client base and spend more time with his/her current clients,” he said. Matt Goulet, senior vice president at Fidelity Institutional Asset Management said model portfolios will also streamline account management as the industry shifts. "As fee compression continues across the industry, advisors are focused on finding ways to more efficiently manage their clients' assets," said Goulet. Advisors also see the cost benefits of working with model portfolios. While prices vary, a $250,000 model portfolio had cost around 1.5 percent of total assets, or $3,775, according to industry data. Prices are now coming down, with fees as low as 0.90 percent of assets for the first $100,000 at Schwab, for example. “The financial advisor will pay less than 40 basis points for a model, and can still charge a considerable amount on top while doing minimal work,” said Pincus. What do advisors look for in a good third-party model portfolio? For Pincus, it’s all about efficiency and user-friendliness. Third party model portfolios are becoming more common because they provide scale to advisors who are not specifically focused on the actual investing side of advisor, other financial professionals say. “Model portfolios are a very good and appropriate tool for financial planners who serve relatively unsophisticated or smaller clients,” said Jeff Wright, an independent advisor and managing director with NovaPoint Capital, in Atlanta, Ga. While model portfolios are great for simple, smaller clients, they fall short in one key area – customization. 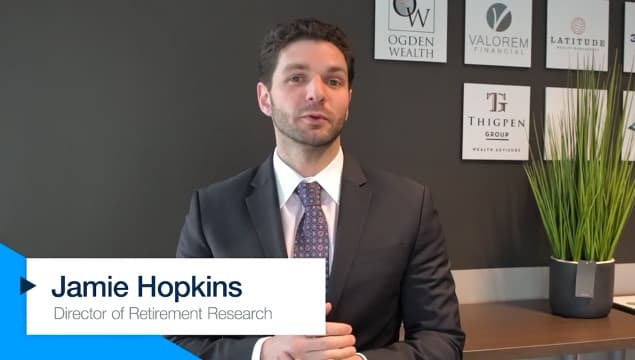 “There are different asset allocation models, but they are limited in terms of specific objectives, risk tolerances, or preferences that may be unique to the client,” said Wright. Another consideration is that third-party model portfolios tend to have divergent performance, which calls into question the assumption that an algorithm is a better solution than a well thought out portfolio constructed by an advisor. As more entities roll-out model portfolio marketplaces, pricing for model portfolio services will continue to drop precipitously, giving investors tools from the some of the best investment companies out there and freeing up advisors to manage more accounts. Joe Sullivan, director of manager relations at Interactive Brokers Asset Management sees the benefits for both parties.